The author talks to Shelagh Rogers about his latest book being turned into a film. 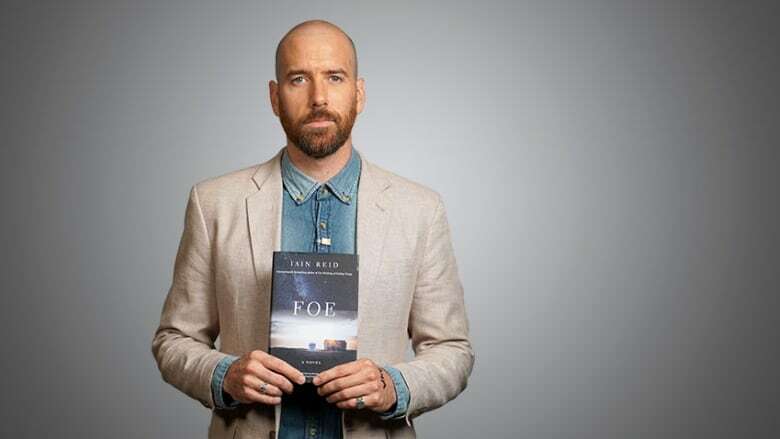 Iain Reid's suspense novel Foe takes place in an old, isolated farmhouse in the not-so-distant future. The book has been optioned to become a film. Reid's previous thriller, I'm Thinking of Ending Things, is also being adapted for a Netflix film by director Charlie Kaufman. "Everything related to my novel and film has been a complete surprise for me. When I wrote both of these books, I considered them to be very literary and internal. I knew that they would be challenging to adapt so that wasn't in my mind when I wrote the books. When there was interest, it was nice and pleasant, but I still wasn't convinced that anything would happen." "Looking at my fiction and nonfiction work, it's glaring how different they are. That is partially on purpose. My first two books were nonfiction. They were humorous and meant almost to be comforting. They were both nice stories for me. As a writer I wanted to do something different in turning to writing fiction. I didn't want to feel like I was repeating myself or developing an aesthetic." "I had an interest in writing fiction, but it always felt more difficult [than nonfiction]. I knew writing nonfiction first would be useful and helpful for when I tried to write fiction. I also knew I wanted to write something very different, something I'd never written before. I do have an interest in philosophy and had certain ideas that, for me, are unsettling and are sort of personal in that way." "When I wrote this book, I was thinking about the way that our relationships with technology and each other have changed over the years. To me that's all connected. It's a little bit scary because of the way we can end up relying on these forms of communication. But there's nothing that equals just sitting down with someone and actually talking. No one knows what's going to happen next but I'm interested in thinking about it and trying to project the possibilities." Iain Reid's comments have been edited for length and clarity.